The School Based Health Center would like to announce that the Nurse Practitioner, Ashley Hendricks, is available to see students on Thursday mornings at the temporary health center location on the Smackover Elementary School Campus. You may contact the health center at 725-1213 to schedule an appointment. Although the School Based Health Center is located on the Smackover Campus, we will make arrangements for children on the Norphlet Campus to have services as well. The School Based Health Center is already providing dental services through Dr. Taylor Everett. If you are not enrolled in the School Based Health Center and would like more information, please give us a call at 725-1213. Posted in Buckaroo News on February 29, 2016 by The Buckaroo Blog. There will be a meeting for parents of students in grades 9-11 interested in trying out for senior high cheer. The meeting will be held in the Smackover Elementary School library at 6 pm on Wednesday, March 9, 2016. Posted in Buckaroo News on February 26, 2016 by The Buckaroo Blog. The Smackover-Norphlet School District will be taking a fan bus to the Regional 3A Basketball Tournament Semi-Finals which will be held at Centerpoint on Friday evening. The bus will leave at 5:30 pm on Friday. The bus will be loaded by the agriculture building. The cost to ride the bus is $5. Payment must be made no later than 1 pm on Friday afternoon at the high school office. The fan bus is open to students, parents, and community members. Ninth through twelfth grade students may ride the bus without a parent. Students who are 8th grade and under must be accompanied by a parent. Posted in Buckaroo News on February 25, 2016 by The Buckaroo Blog. The Smackover-Norphlet softball team hosted the annual Alumni Softball Game this past Saturday. 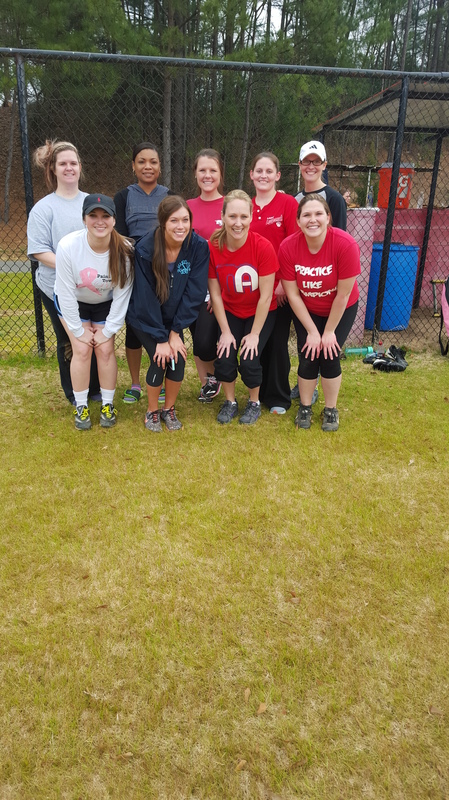 The Smackover Buckaroo Softball team played against alumni softball players from Smackover and Norphlet. The Lady Buckaroos played against two different Alumni Teams. The Lady Buckaroos defeated the Alumni Teams both times 12-6 and 7-3. Read Across America Week will be next week (February 29 – March 4). Students at Smackover Elementary School, Norphlet Elementary School, and Norphlet Middle School are encouraged to participate in the following dress up days! Monday, February 29th – Green Day – Dress in green! Tuesday, March 1st – Red & Black Day – Dress in red & black! Wednesday, March 2nd – Wacky Wednesday – Dress as wacky as you can! Thursday, March 3rd – Wocket in My Pocket – Wear a “wocket” or a small stuffed animal in your pocket! Posted in Buckaroo News on February 24, 2016 by The Buckaroo Blog. Come join us for a Pancake Breakfast at Applebees! Smackover High School’s annual fundraiser for the Beta Club will be held on Saturday, March 5, at Applebee’s in El Dorado. Tickets for the event are $5 each for a plate of pancakes, bacon, and juice or milk. Tickets may be purchased from any Beta Club member or by emailing sponsor Cheryl Corley at cheryl.corley@smackover.net . Click on the link below to access the bracket for the Regional 3A Basketball Tournament for the senior high boys basketball team. Posted in Buckaroo News on February 23, 2016 by The Buckaroo Blog.